Andy Hayler is not only a food critic but he was also responsible for helping to create the data warehousing architecture within Royal Dutch Shell. 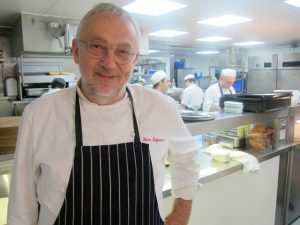 In 1994 he published the ‘London Transport Restaurant Guide’ with Macmillan and he created a website dedicated to food that was listed by the Guardian newspaper in 2006 as one of the top 10 food web sites. He has managed to hit the headlines a few years ago when it was revealed that his work as a food critic is done as a hobby, rather than as his job. He has spent thousands of pounds eating in some of the world’s finest restaurants and this hobby started out as a simple newsletter to his friends letting them know about some good places to eat. Readers do not have to pay to see what he has written and he has become so valued by the industry that even the top chefs value his opinion and expertise. He became the first person in the world to eat at all restaurants across the globe that have achieved three Michelin stars. Only one restaurant in 20 will ever earn a Michelin star and the vast majority of restaurants will only achieve one star at the most. In the UK only a handful of restaurants have three Michelin stars and even in France there are less than 30 that have achieved this accolade. It has been noted that Mr Hayler can be more demanding than an actual inspector and he does not always agree with Michelin when a restaurant has been awarded three stars. He believes that less than half of these restaurants actually deserve them, although he does believe that there are a number of restaurants with two stars that should be promoted to three. He is of the firm belief that if you go out and pay for a meal you have the right to express an opinion about it.